Quite close to the lighthouse are palatial Tredegar House (lake and craft shops in its grounds) and romantic little Castell Coch ('the red castle'). Also well worth visiting are the Roman city of Caerleon, and the castles of Caldicot, Chepstow, Raglan, Cardiff, & Caerphilly. Check their websites for events. Other places include Tintern Abbey, Comeston Lakes and Medieval Village,Parc Bryn Bach, Rhondda Heritage Park, Techniquest, Big Pit, Llanciar Fawr Manor, Cwmcarn Forest Drive, Dyffryn Gardens and Arboretum, National Museum Cardiff, St. Fagans National History Museum, and lots more. Both the Usk Valley, the Brecon Beacons and the Mumbles are scenic and within easy drive. 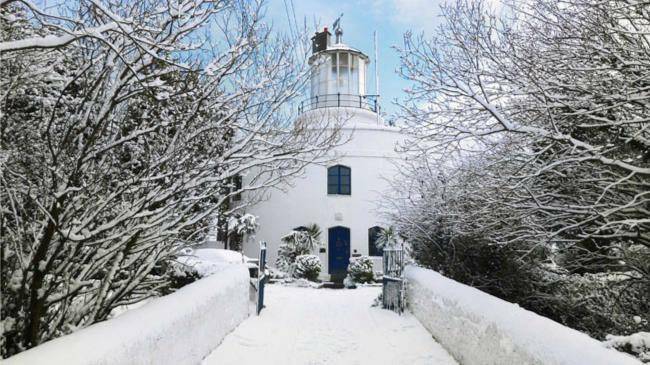 Experience the island of Flat Holm, 50 minutes crossing from Cardiff Bay. We also have Dewstow Gardens & Grottoes, which were created in 1895 but were buried and forgotten for over 50 years! They were rediscovered in 2000. Other Attractions for families include Cardiff Bay which also has a Techniquest, The Welsh Folk Museum off Junction 33, M4. The Big Pit near Pontypool, Green Meadow Farm near Cwmbran, both off Junction 26. 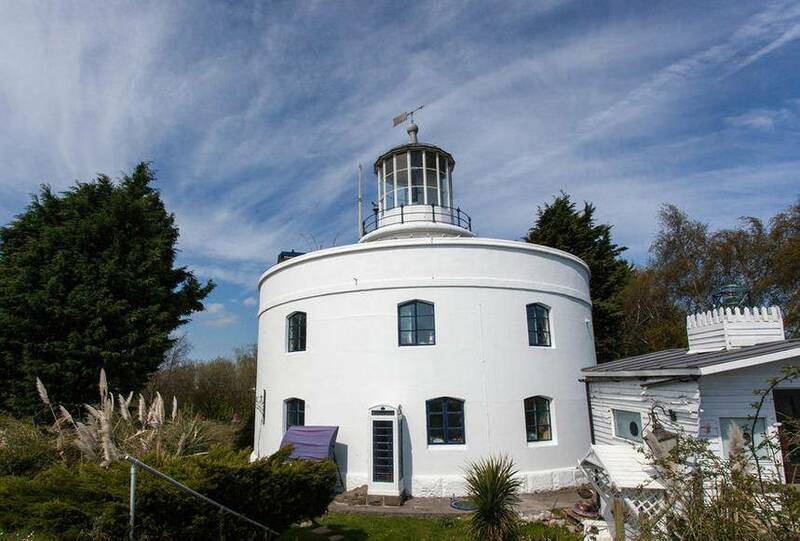 The West Usk Lighthouse was built in 1821 at the junction of the Severn and Usk Estuary, overlooking the Bristol Channel! It is a circular building, one of its kinds. There is a stone spiral staircase which graces the slate bedded entrance hall, and the outside perimeter base is granite! 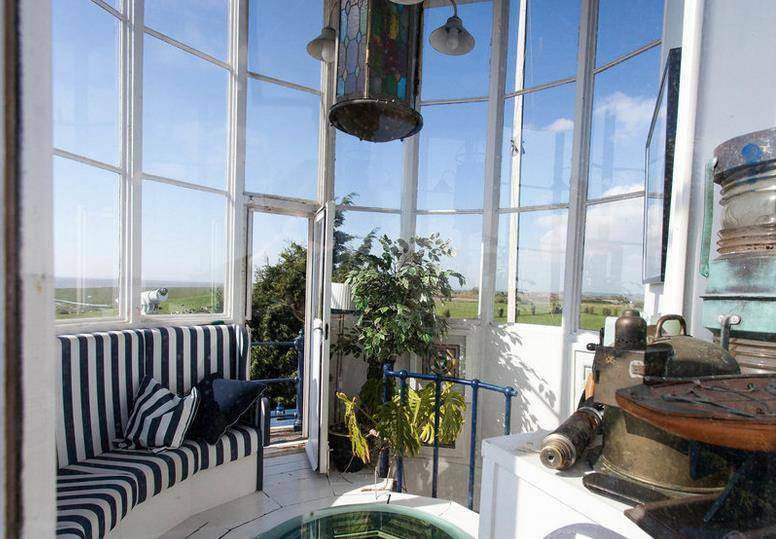 The lantern room does not house the light anymore but now has seating and a door leads to a small balcony. 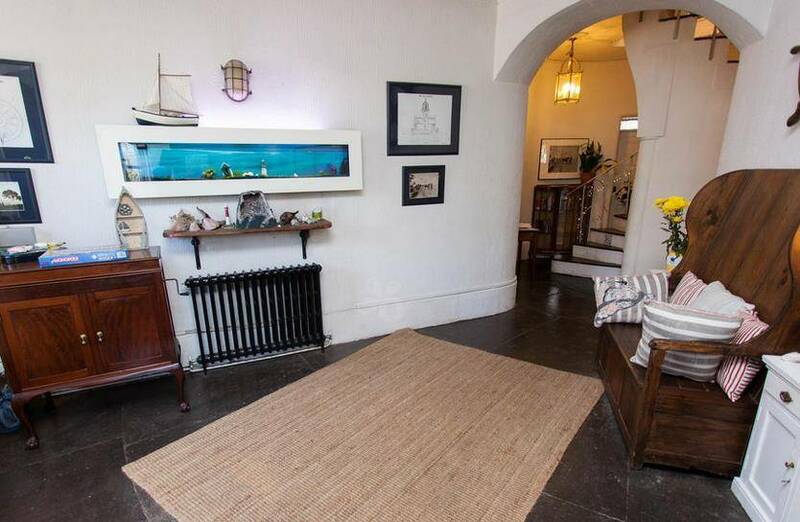 The letting rooms are all wedge-shaped, en-suite with a waterbed and 4-poster beds. Guests can bring in their own drinks to sip on the balcony where the hot tub is and watch the night time sky and the ships go by. 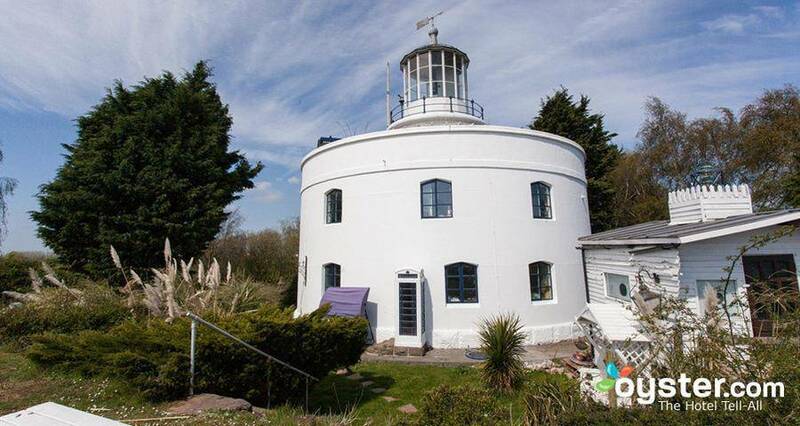 The lighthouse is romantic and very relaxing, really ideal if you want a good night sleep to re-balance or you want to take stock of where you are in life or you may just wish to be pampered. A Rolls Royce car will take you to the local restaurant if you wish. 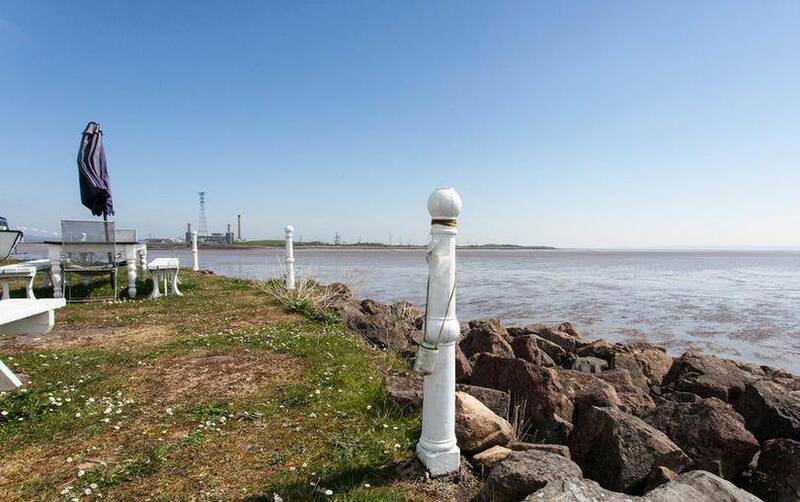 You can go for walks and enjoy the local surroundings and attractions nearby. Cardiff is only 10 miles away with all the activities of a capital city. There are some really good restaurants and pubs nearby, rated with Michelin stars or are in the Good Food Guide. 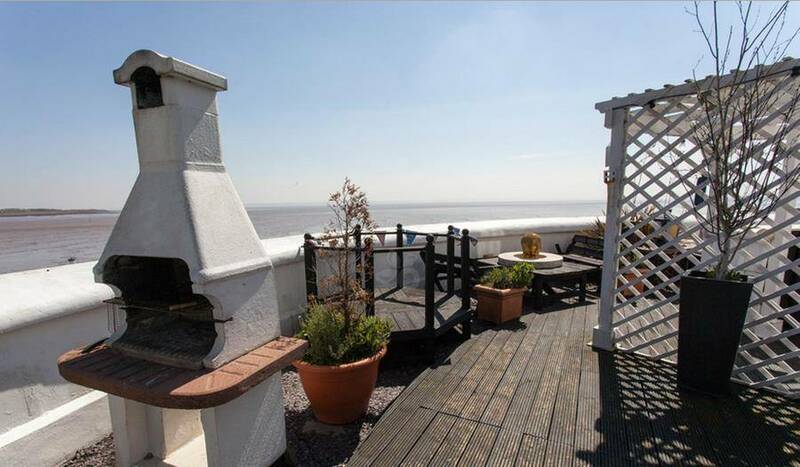 The lighthouse is also an excellent place for groups, family get togethers and hen nights.